We all know it's Halloween when one sees jack-o-lanterns, kids trick-or-treating, costume parties and haunted houses. 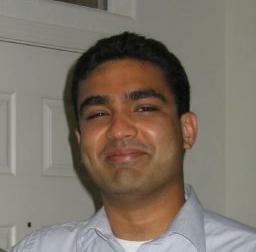 For Anuj, Halloween meant doing all this and just having fun with friends and family. 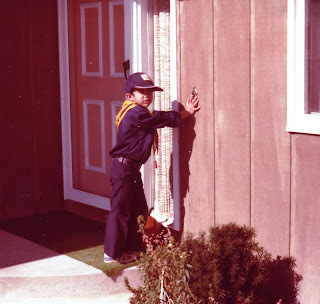 From carving pumpkins with Mom and Dad a couple of years ago, to dressing up in Army Rangers and Cub Scout costumes with his brother Neal back in Michigan, Anuj always looked forward to trick-or-treating and spreading happiness all around. 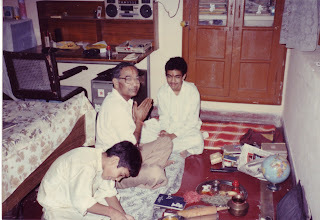 I remember distinctly, talking to Anuj of an instance while he was still at MIT, where he along with his friends bought lots of candy and carved pumpkins for the underprivileged kids from the neighborhood so they could have a fun filled Halloween. Once again we were witness to Anuj’s giving and helping nature for the entire community. 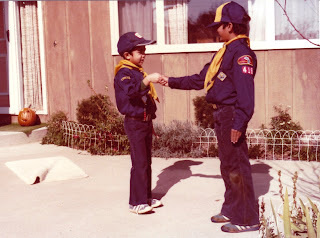 Anuj dressed up as a cub scout in Michigan. Halloween, 1982. Anuj getting ready to go trick-or-treating with his brother Neal. Halloween, 1982. 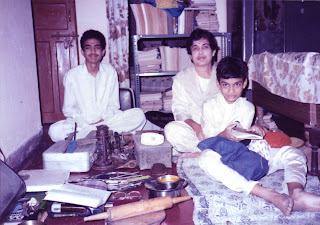 Anuj used to always be enthusiastic about celebrating various Indian festivals. "Vijay Dashmi" (The Victory of Good over Evil) also known as Dussehra was one of his favorite ones. The festival is the celebration of Lord Rama's victory over evil. It is also believed that a venture started on this auspicious day is bound to be successful. Today as the world celebrates this auspicios day, we are reminded of the memories we shared with Anuj during the festivities. Below are just a few glimpses of Anuj celebrating "Vijay Dashmi" with the rest of the family.